Both forEach and For Loop provide the same functionality. Looping through elements in a collection and only the main difference between the two of them is that they are different iterators – the enhanced for-loop is an external iterator whereas the new forEach method is an internal one. 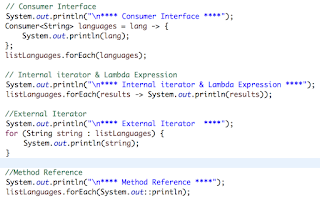 Internal Iterator - iterator manage the iteration in the background and leaves the programmer to just code what is meant to be done with the elements of the collection, rather than managing the iteration and making sure that all the elements are processed one-by-one. External Iterator - If need more control on the iterator and need to preform some checks and operation on each element then External Iterator can be used. 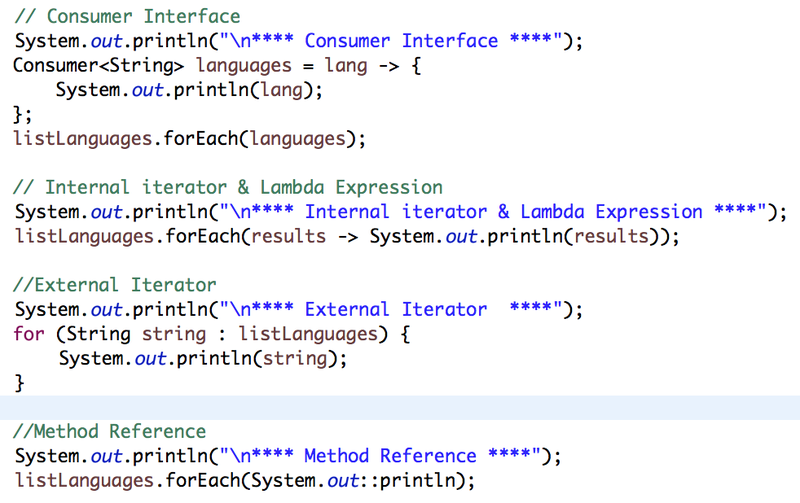 Lambda Expression - lambda expression is an anonymous representation of a function descriptor of a functional interface.